As Labour Day- May One - is approaching, Iranian workers and farmers situation get worse under Islamic Republic regime policy ! Help release leaders of the workers from prison! THE SCHOLARS’ MESSAGE OF SOLIDARITY TO IMPRISONED IRANIAN WORKERS To imprisoned workers of Iran: Dear friends, This year’s International Workers’ Day is approaching at a time when you are in prison. We know that among you there are many like Farzad Kamangar who sacrificed his life to defend the human dignity of the humble masses that are forced to sell their labour for meagre wages. And there are many more of you who like Mansour Osanloo, Ebrahim Madadi, Behnam Ebrahimzadeh, Reza Shahabi and others, have languished in prison with many dark years still ahead simply for defending workers’ basic human rights. Others who have gone to prison for organizing workers have continued to be punished by the ruling legal and political regime after their release, being forced out of work and thus deprived of their only source of income, creating unbearable conditions for them and their families. The government, judiciary and intelligence machinery in Iran have proven that any attempt by workers to establish independent labour organizations and defend their livelihood will be met with swift vengeance, a fact that violates both international agreements Iran is a party to and tramples on the government’s own laws. This is while the very same government and ruling cliques provide the maximum of resources to owners and managers of wealth so that they can better organize themselves against workers’ and make greater profits. 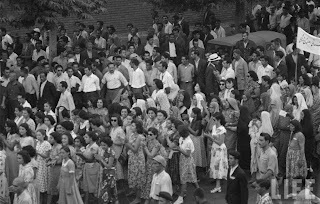 Justice in the Islamic Republic of Iran only exists as long as it does not interfere with easy profits for exploiters and excludes the amelioration of workers’ conditions, who are given the absolute minimum wage possible, equivalent to one third of the poverty rate set by the government’s own statistics. Friends, It shall not be long until the sweet breeze of the revolution of bread and freedom that began in Tunisia, overtook Egypt and is now overtaking the entire Arab world and North Africa shall reach Iran. Any regime that is based on social injustice and the concentration of wealth in the hands of a minority while poverty is concentrated in the masses shall not endure. Fighting this injustice is fighting for a better and more human world, fighting for true human liberation and not the liberation of capital, and transcending to a level where workers can no longer be fooled by inferior alternatives and false revolutions. We have not been closer to the possibility of realizing this human world at any time in the last 30 years as we are now. One need only look at the ever increasing protests of the workers of Wisconsin and the struggle of the dignified masses of England, France and other nations. This bright horizon is impossible to miss. 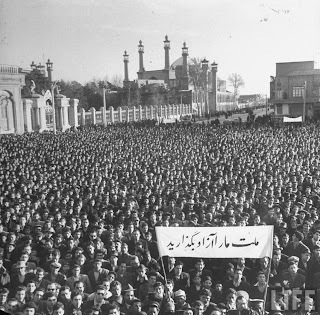 Under such conditions, rest assured that the dignified workers and masses of Iran shall not fail to act. Your time of liberation is at hand. Be hopeful and know that on International Workers’ Day we hold your memory in our hearts and grasp a red rose as a sign of our solidarity with you. 1-Ervand Abrahamian, City University of New York, USA. 2-Kazem Alamdari, California State University, USA. 3-Kevin Anderson, University of California- Santa Barbara, USA. 4-Asef Bayat, University of Illinois at Urbana–Champaign, USA. 5-Sohrab Behdad, Denison University, USA. 6-Richard J. Bernstein, The New School For Social Research, USA. 7-Timothy Brennan, University of Minnesota, USA. 8-Alex Callinicos, King's College London, UK. 9-Noam Chomsky, The Massachusetts Institute of Technology (MIT), USA. 10- Simon Critchley, The New School for Social Research, USA. 11-Hamid Dabashi, University of Columbia, USA. 12- Nancy Fraser, The New School for Social Research, USA. 13- Amir Hassanpour, University of Toronto, Canada. 14- John Holloway, Autonomous University of Puebla, Mexico. 15- Peter Hallward, Kingston University, Canada. 16- Paul Mattick, Adelphi University, USA. 17- Behrooz Moazami, Loyola University New Orleans, USA. 18-Haydeh Mogheysi, York University, Canada. 19-Farhad Nomani, The American University of Paris, France. 20- Misagh Parsa, Dartmouth College, USA. 21-Saeed Rahnama, York University, Canada. 22-Mehrdad Vahabi, University of Paris VIII, France. 23-Helena Worthen, University of Illinois at Urbana–Champaign, USA. 24-Slovj Zizek, European Graduate School, Switzerland. 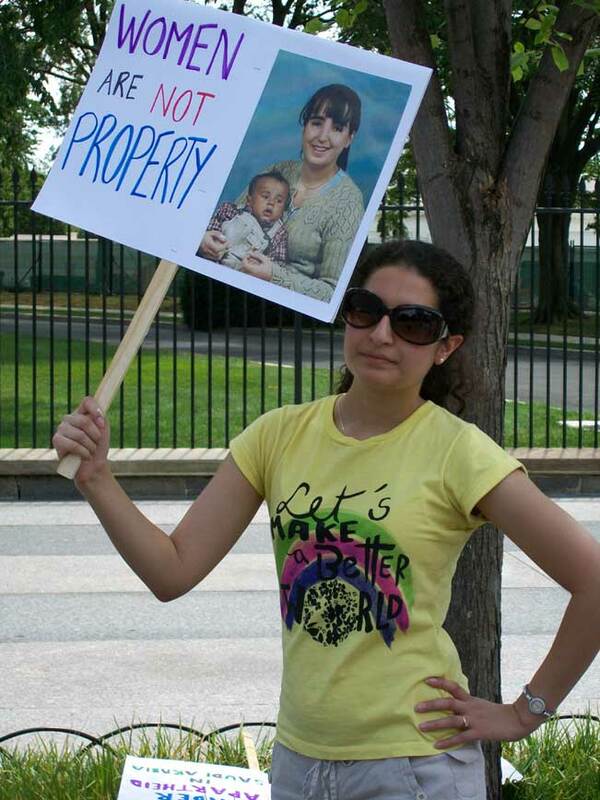 Picture-Rasoul Badaghi's Wife and her twin daughters. 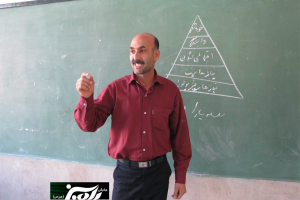 Rasoul Badaghi is a teacher and board member of the Teachers Union. He was arrested on September 20 ,2009 and was sentenced by the Islamic court to six years imprisonment and five years bann on practicing social activities . Since his imprisonment he wasn't allowed to visit his family members. He has three daughters; one is 14 years old and the other two are twins and are close to four years old.Rasoul Badaghi was also on hunger strike together with many other political prisoners. His 14 years old daughter in a telephone interview told to Fatemeh Shojaei from "Jaras" Website that, They have missed their father specially the twin sisters and they haven't seen their father for more than three months.When the repoter asked her what message you want to send to your father; she said, I just want to say that i love my father very much and i missed him and the teachers Day is coming and i hope the prison official will allow him to come home for a day on the teachers Day. People of Iran will hold Mr. Mohammad Sadegh Larijani the head of Judiciary power and Mr. Javad Larijani as the head of Islamic Republic Human Rights commision and Mr. Ali Larijani the head of Islamic Republic Parliament accountable for keeping silence to all these injustices. According to report coming from Iran, Shirko Maarefi the Iranian-Kurdish political prisoner who was sentenced to death went on hunger strike in "Saghez" city prison.Shirko is from the city of Baneh and he started his hunger strike from today Thursday April 28 ,2011. He told to "Mokrian News Agency "reporter that; in protest to his unclear situation in the prison ,he is going to have hunger strike.He said : I have already told the prosecutor and prison authorities by a letter about this." Background: Shirko Maarefi resident of "Baneh" city was arrested and detained three years ago and was sentenced to death by the " court of Revolution" in "Saghez" city .The sentence was appealed in the court of appeal but it was reinstated. Tehran,June 21,2009. "Death to dictator"- Let the Nation be Free,before it's too late !Release all political prisoners, before people rush to Evin ! Fars News Agency: 100 members of parliament signed a petition calling Ahmadinejad for questioning? As a coup president of the Islamic Regime, Ahmadinejad never bends to anyone except Khamenei ( May be not now). He showed he is strong and tough and defends his cabinet ministers from all conservative and non conservative or parliamentary members criticism and pressures.He is known for his big lies and toughness unlike Khatami the reformist president who is known as Mr. Smiley and softness who lost many precious opportunities while as prsident.Yet he sometimes treats his own cabinet members so harsh which surprise everyone, like in the case of Mr. Motaki the Foreign Minister who was removed from his post while on assignment in a small African nation. Mr. Motaki himself didn't know that he was removed from his post until the African host told him. He is creator of enemies for himself from left and the right. On that note, last week Ahmadinejad put Mr. Moslehi his Minister of Information under pressure to resigne and Mr. Moslehi then resigned and Ahmadinejad accepted the resigne, but Khamenei came to Moslehi's rescue and reinstated him , whcih became a week more dispute between him and Khamenei and the talk of the media and people. At the same time Mr. Motahari an MP has collected 100 signature from members of the parliaments to call Ahmadinejad to the parliament for questioning for not complying w/ the parliament orders and ignoring the decisions made by members of the parliament. As a result of all these, Ahmadinejad is not showing in Government cabinet and other important meetings, while Mr. Moslehi the Foreign Minister proudly attending because of support by Khamenei. Iranian People jokingly say that; Ahmadinejad "Ghahr Kardeh" meaning; he is not in good term with Moslehi or in fury. Tension is very high among Islamic Republic regime officials. Mohammad Nourizad the Iranian Film maker, Writer and a strong supporter of Green Movement on his 40th Day of Hunger Strike in prison ! IRAN WATCH CANADA: Help release Iranian political prisoners ! Mohammad Nourizad: "I disagree w/all the sentences against me and therefore i start hunger strike! According to Mohammad Nourizad's wife, her husband is on his 40th day of hunger strike and he wants to continue the hunger strike until his demands are fulfilled. Based on a report posted on Mohammad Nourizad's personal journal ,Mrs. Fatemeh Malaki the wife of this imprisoned artist said : Further to hunger strike and not eating food, he is also not willing to have any visitation until his demands are fulfilled.She added : "I agree with you and i won't request from the authorities for any visitation or phone call. " Mr. Nourizad has spent 16 months in prison already for supporting the green movement and four months of this 16 months in ward number 350 without any visitation. Let Our Nation Be Free ! Focus on Political prisoners. Five more political prisoners in "Rejaei Shahr "prison will join the other 11 political prisoners for hunger strike! In the past 11 political prisoners from "Rejaei Shahr" prison including: Eisa Saharkheiz (Journalist) Mansour Osanloo (Labour union leader ),Majid Tavakoli (Student leader ) ,Keivan Samimi ( Writer ) ,Heshmatolah Tabarzadi ( Student Leader ) , Rasoul Badaghi and Mehdi Mahmoudian in protest to their detention or trial and sentencing and continous pressure against their families went on hunger strike and said; "They will continue their strike until their demands are fulfilled." . Now five more political prisoners at Ward 4 of unit 12 in "Rejaei Shahr" including : Behrouz Javid Tehrani, Ali Ajami,Reza Sharifi Bukani, Khaled Hardani and Jafar Eghdami announced they would also join the hunger strike from the 2nd week. The names of 32 individuals to be sanctioned by the European Union (EU) were announced today. Reports indicated that 80 Iranian officials had been reviewed by EU officials. After a review of that list, the names of these 32 individuals, some of whom are top-ranking Iranian officials, have also been added. The sanctions will be effective in all EU member states. Noteworthy is the inclusion of judicial authorities in some Iranian cities and provinces, as well as the Head Warden of Evin Prison’s Ward 350 on the list. According to the second article of these procedures, which concentrates on the restrictions put on the individuals, all financial resources belonging to the 32 individuals, or those controlled through entities, individuals or organizations related to them, are blocked. Additionally, no assistance or financial resources will be made available to these individuals through member states whether directly or indirectly. Individuals and entities that operate under EU procedures will be fined for violating these procedures. In the introduction to the new EU procedures, referring to the widespread violations of human rights in Iran after the 2009 election and the arrests of journalists, political activists, and human rights activists, the named individuals are stated to be directly or indirectly responsible for ordering or implementing the violence. The stipulated sanctions will also include flight restrictions. Any airplane that flies under EU rules and regulations is bound by the sanctions on these 32 individuals. 1. Ismail Ahmadi Moghadam, Iran’s Chief of Police: Forces under his command carried out brutal attacks on peaceful gatherings as well as at Tehran University dormitories on 15 June 2009. 2. Hossein Allahkaram, Head of Ansar Hezbollah and an Islamic Revolutionary Guard Corps (IRGC) Officer: He was one of the founding members of Ansar-e Hezbollah. This paramilitary force was responsible for the extraordinary violence used during the crackdown on students in 1999, 2002, and 2009. 3. Abdollah Eraghi, Deputy Army Commander of the IRGC: During the summer of 2009 (after the presidential election), he was directly and personally responsible for the suppression of protests. 4. Ali Fazli, Deputy Commander of the Basij, Former Commander of the IRGC’s Seyed-ol-Shohada Force in Tehran Province until 2010: the IRGC’s Seyed-ol-Shohada Force is responsible for Tehran Province’s security and carried out a central part in the bloody crackdown on protesters after the election. 21. 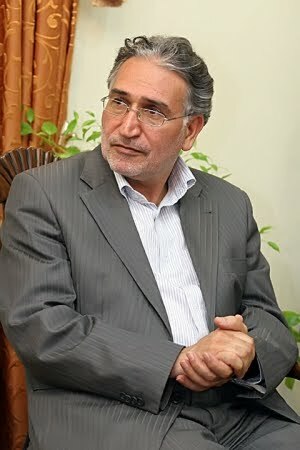 Gholamhossein Mohseni Ejehi, Prosecutor General since September 2009 and Spokesperson for the Judiciary, Minister of Intelligence during the 2009 election. 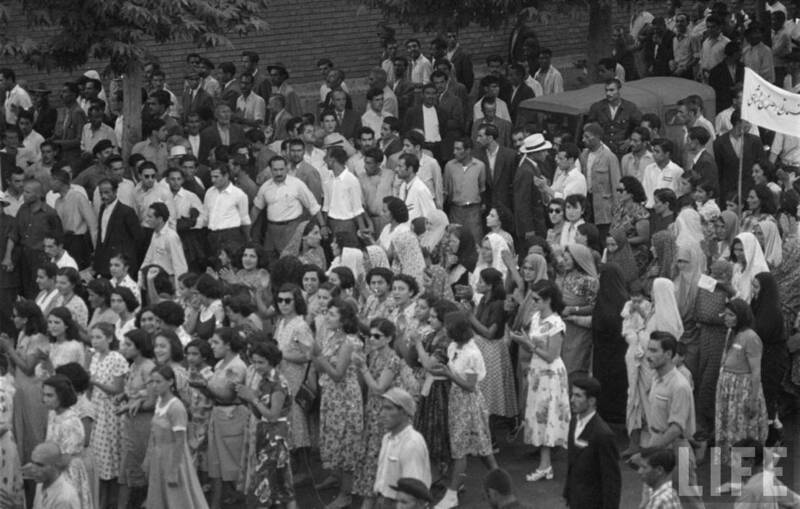 Iran 66 years ago before coup d'etat in 1953 ! Focus on political prisoners in Iran! Why judiciary power arrest,detaines, intimidate and threats impartial lawyers and their families in Iran! IRAN WATCH CANADA:The judiciary power system in Iran headed by Mohammad Sadegh Larijani is not impartial or independent and thats why it won't tolerate the impartial/independent lawyers, particularly the lawyers who are on the forefront of defending human rights in Iran. These impartial lawyers are the true son and daughters of "doctor Mosadegh"the prime Minister of the National Government in Iran on 1953. Why the judiciary power system dosen't tolerate these lawyers and instead make life hard for them and their families? I'ts because, who else could open the eyes of Iranian on corruption or violation of constitutional law and discrimination in the justice system than these very brave son and daughters of " Doctor Mossadegh ". Its been more than a century the Iranian people fought and are fighting for "Edalat khaneh" meaning" justice house " . An independent /impartial justice house which could deliver justice to "all Iranian people" apart from discrimination was and is the want of all Iranian. The Islamic Republic Judiciary power under Mohammad Sadegh Larijani is manipulated by political will power and Mr. Larijani is aware of all these injustices, but ignores the violation of the rights of Iranian citizens and closing his eyes to them. And now regime has arrested another lawyer who is a human rights defender and that is Mr. Mohammad Seifzadeh.Two weeks after the news about the disappearance of Mohammad Seifzadeh, his lawyer has told reporters that her client is in Orumieh city prison. 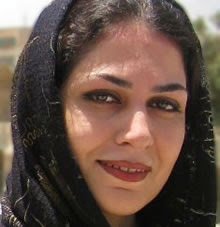 Marzieh Nikara lawyer of Mohammad Seifzadeh told to reporter that on Thursaday her client contacted his home and informed them about his arrest and currently is in Ministry of Information detention center in Orumieh prison.She said: her client is charged with " Action against national security by leaving the country illegally". April 26,2011- Student at "Polytechnic" University in Tehran gathered for their rights and welfare. No regime can defeat the student movement in Iran. Letter by 23 Iranian polititical prisoner to clergies and ayatollah's on their condition and Irans' situation! 23 Iranian political prisoners from different Islamic Republic regime prisons wrote letter to religious authorities and requested them to look into all the cruelties they face inside the prisons and asked them to break their silence on all these cruelties. The political prisoners reason for writing was because these religious authorities were talking about all the injustices and the people's rights in the region but not about the people and political prisoners inside the Iran!? They wrote : When looking into the cruelties against the moslem people of the region , at least based on your religious credibilities and Qoran you must end all the oppression and cruelties that is going on here too and raise your voice against the military,security and intelligent oppression. In their letter the political prisoners said : Although several religious authoritis including Ayatollah Biat Zanjani, Ayatollah Saneei, Ayatollah Musavi Ardabili, Ayatollah Dastgheib , Ayatollah Vahid Khorasani , Ayatollah Amjad and sometimes Ayatollah Javadi Amoli become the voice of the people and protested on lies of the current regime and about the arrest or killing of innocent young peoplebut , all other religious authorities must end their silence and protest against these situation. Prisoners from ward 350 in Evin prison. prisoners from Ward 2-alef in Evin under suppervision of revolutionary guards (Sepah). Prisoners from ward 209 in Evin under suppervision of Ministry of Information. Detention centre under suppervision of " Hefazat Etelaat Zendane Evin " (Information protection of Evin Prison). Prisoners from prison in "Rejaei Shahre Karaj " . Prisoners from prisons in Khuzestan province - South of Iran. Friday rally, 4o people killed many disappeared.political crisis continue.Young generation want new political system against old one ! Sham -Banias city protest in Syria , Friday April 22/2011 rally ! Excerpt from an interview with Faezeh Hashemi the daughter of Hashemi Rafsanjani!The situation in Iran in all front is a police & security state now! Faezeh Hashemi: The country is in the hands of Rascals / villains and lackeys ! Faezeh Hashemi in an interview with a website known as "Roshangari " spoke on the current issues and situation facing Iranian people. It is needed to say that; Faezeh in the past 12 years showed some liberal ideas and took initiative herself to implement these ideals for instance publishing reformist women newspaper ("Zan")or heading women sport activities and for these activities was under pressure by radical islamist. 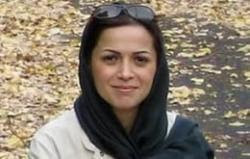 In recent years particularly after the election coup by Ahmadinejad, she participated actively in opposition movement known as green movement inside Iran and few times were arrested in the streets of Tehran and detained or she has been attacked by vicious radical militias ( the case in recent weeks -The militia's in the city of "Rey" headed by Said Tajik attacked her. the video is available in IRAN WATCH CANADA or Youtube). She is telling to the website that; Her attacker ( Said Tajik) action was condemened by khamenei but at the same time Khamenei is praising them and nothing is happening when these plain cloth militia arbiterarily do things that are antagonistic with islam, but they do it, because they are being told to do it inside the classes the "Sepah"( Revolutionary Guard) organize's for them and they are being prepared to do these thing against enemies. About election she says: Regime has no credibility when it comes to election and people are not satisfied /content about the last election.The last election was not the healthy one and it is beleived that; the rest of the election will be the same.On the government and economical situation, she says: The political , freedom and human rights situation in Iran is deplorable.The whole situation is bad, including the foreign policy which day after day is becoming bad, there is no positive point for me to say. These are not arbiterary forces, they are organized .These forces are told to do, it doesn't make any different who ?They do it to keep people silent. At present in Iran, these forces are running the country . There were police forces, agents from ministry of information and forces from "Herasat" ( another security forces stationed in offices and places....) around us on that day but they didn't and couldn't do or say anything to these forces, i have said earlier;they have created a situation ,now they can't control it. Most of these forces do these stuff because of their interest to gaine promotion to higher ranking , money ,education and..and some are brainwashed. "Based on the past event and experience , i can't believe This will happen." On another question about green movement ; she said: " I'm hopeful for green movement .In my opinion the green movement is alive and actively going forward and changing its strategy in different circumstances.....The current oppressive situation won't be continued for long and and i only hope that the people will achieve their goals with less cost." 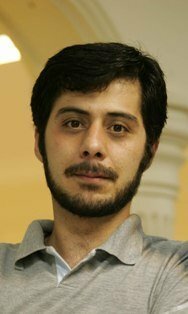 Free Iranian Film maker Ramin Parchami ! their families are threatened and also arrested because of them or their lives are destroyed.Who is responsible for all these? who is to be blamed? Ahmadinejad? Khamenei? who? I think the judiciary system headed by Mohammad Sadegh Larijani has more responsibility and then the parliament and police and security chiefs. Focus on building idividual and group rights in the Middle East !? Democratic changes are what the people of Middle East particularly the young want! "In the midst of a Middle East meltdown, in the midst of the most dangerous mayhem and madness, can a feminist and human rights revolution really be brewing in…Saudi Arabia? 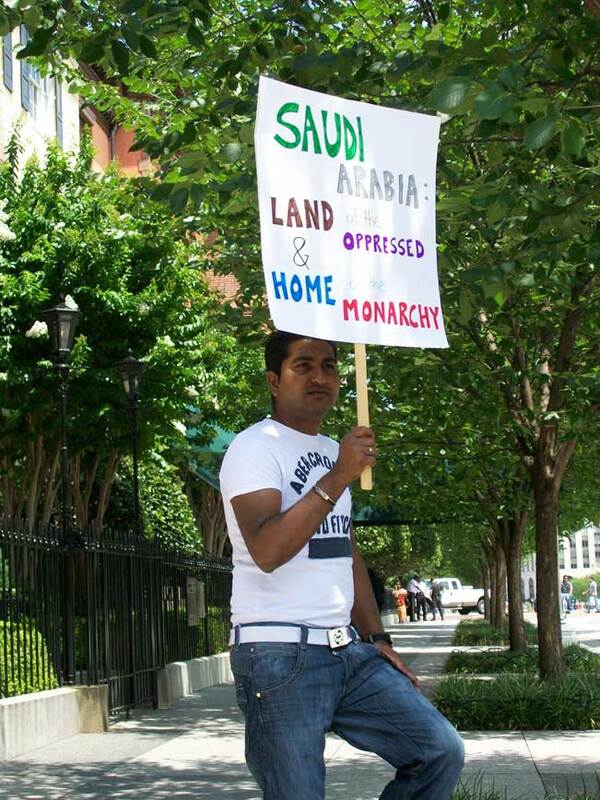 We know that Saudi Arabia is exceptionally barbaric towards its women and to all progressive thought. Women are not allowed to drive, and they cannot travel, accept employment, or open a bank account without the approval of a male relative. In addition, Saudi women must be fully veiled from head to toe and from front to back, and they must submit to arranged child marriage and to polygamy." Is democracy achievable in the Middle East? Despite of months of unrest and martyrdom ( For democracy) in the Middle East, is democracy achievable? When? Where it is going to begin and how it should proceed? Is there enough knowledge about democracy and democratic institution among intellectuals? Does society have common knowledge how to proceed? Democratic institution relatively are established in the western society from French revolution to American revolution and civil rights movement and also the socialist revolution in the eastern countries. How much knowledge and actual /practical knowledge Middle Eastern society have from the transformation of these societies to a relatively democratic society. Since almost all the institutions in the Middle Eastern society is based on undemocratic structure, reformation of these structure is the first and foremost step toward democracy and at the same time reformation of the governing institution is the other side of the coin which must take place in parallel to the public understanding of democracy. Western societies from the lowest institution upward is based on democratic understanding . When we look at the families in the western society and comparing it to the Middle Eastern , it shows the huge differences, for example the unfair relationship of families and childeren and public interaction with eachother or the government structure is totally undemocratic..
What i'm trying to say is , the first and foremost step as i said above is to bring general democratic knowledge to the public in these societies and that can only be brought by workshop of wast variety of NGO's working on different issues. Now, does the current governing regimes allow this to happen or do they want to help their society to achieve this understandin? No , not the current governing bodies. Their institutions are based on intolerance. Western domocracies therefore, must put aside the double standard of talking and supporting democracies but at the same time supporting these most tyranical/ Barbaric and undemocratic governing bodies ( Like the support of US for Saudi Arabia and... ) and defend materialy /morally the true democratic process via working on public awarness through genuine NGO's in the Middle East. Nazanin Khosravani Iranian journalist is sentenced to six years imprisonment!Another injustice by Mohammad Sadegh Larijani the head of Judiciary ! Mohammad Sadegh Larijani head of judiciar power is one of regime official responsible for detaining,torturing the political prisoners! Free All Political Prisoners in Iran now! Syria and the rest of the countries including Iran will be freed from these dictators who are corrupt and criminals! People of "Ahwaz" in the south of Iran fight back for their rights and against discrimination! On April 16 ,2011 the peaceful protest of Arab-Iranian people of "Ahwaz" (in the south of Iran near Persian Gulph) for their living condition ,rights and against discrimination were treated with bullets ,arrest and imprisonment by regime militia and plain cloths securities. As a result more than 12 people have lost their lives and 20 people were wounded and more than tens of them were arrested and detained. There are no news about those who have been arrested and the agents warned and threat the families of those killed to keep quiet and not to speak to media . Some families dared to speak to Arabic language media were arrested. Madame Shirin Ebadi the Iranian Noble Peace Prize Winner in 2003 and president of the Association of Human rights defenders in Iran sent a letter to honourable madame Navi Pilay the high commissioner to UN Human Rights Council and requested her to look into the situation. IRAN WATCH CANADA work voluntarily and tirelessly to bring the voices of voiceless Iranian political prisoners to you and your voices to them. This is what IRAN WATCH CANADA can do and won't stop doing because IRAN WATCH CANADA won't forget the Iranian people particularly the Iranian political prisoners who are the true voices of freedom and democracy in Iran. Nasrin Sotoudeh "the daughter of Mossadeq " lawyer & human rights advocate in Iran and a prisoners of conscience serving 11 years prison term ! Focus on Iranian political prisoners. A clergy in a mosque told stroy about the birth of Ayatollah Seyed Ali Khamenei the leader of the Islamic Republic to the audience , he said : "The midwife heard when the leader came out from his mother's womb called "Ya Ali " (called the name of Ali , one of Shiiet moslem Imam) . This last week , one of the talk among Iranian public was about this issue . These are the people running our country Iran (Persia) with more than 2500 years history. Focus on political prisoners in Iran.Iranian political prisoners to UN General Secretary:"We will hold unlimited hunger strike starting May 22nd. A group of well known political prisoners in Iran issued and signed a letter to UN general secretary ! Since the Islamic Republic's Minister of Foreign Affairs Mr. Ali Akbar Salehi demanded from UN general secretary to investigate about the events in Bahrain , the political prisoners in Iran also requested from UN general secretary for an investigation on prison condition and prisoners situation in Iran. The political prisoners in Iran in their letter wrote: "The same style the people of Bahrain were suppressed and imprisoned ,same way Iranian protesters were suppressed and imprisoned." Some of these political prisoners who are spending time in "Gohar Dasht " prison in the city of Karaj asked from UN gerneral secretary to send its special envoy to observe the political prisoners and human rights situation and prison condition. They also have indicated that they will start their unlimited hunger strike from the coming may 22 ,2011. The political prisoners have added that; while the Islamic Republic officials in Iran talk about the rights of people in other countries but in contrary they suppress and violate the rights of its own citizens in Iran. Hashem Khastar the 57 years old Iranian Agricultural Engineer and a retired teacher and leader of the Association of Teachers Union in the city of Mashhad ,was arrested on September 2009 while walking in "Melat " Park in the city of Mashhad and was transfered to "Vakil Abad " prison and in judicial trial he was first sentenced to six years imprisonment and later it was reduced to two years and currently serving the sentence in Vakil Abad prison . 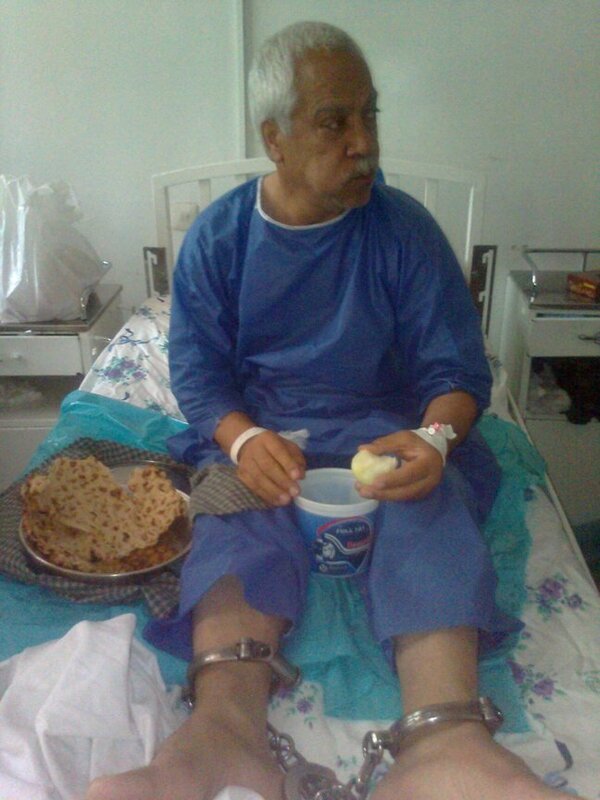 while undergone surgery in "Imam Reza" Hospital in the city of Mashhad on Monday and was promised to have leave of absence from prison to rest for treatment but instead after operation was transfered by eight soldier to Vakil Abad prison again. Sedigheh Maleki wife of Mr. Hashem Khastar told to International Campaign for Huamn Rights that: Doctor who operated him told: he needed medical treatment but 24 hours after operation the judiciary and prison authorities transfered him to prison.She added, while my husband was in the hospital, the judiciary and prison officials didn't let us to visit him or talk to him by phone. With my persistant calling and beging for permision to visit him , the authorities let me to see him for 15 minuites and last night he was able to use the phone of another patient to speak to me but was cut off by guards. While in the hospital ,i saw him chained with the bed and he was also chained while undergone surgery. "Doesn't democracy and living in a world w/ less violent motivate you to support the student movement in Iran? won't it be also called as assisting the coup Government by Ignoring the clear violence on Iranian students ? Iranian who want western society style democracy and human rights won't believ this is happening . Is human rights important for you?Is Freedom of Expression important for you?Do you want the severity of vilolence be reduced?Do you want in another part of this wast world the torch of freedom be still kept on light? Then , dont stay silent on these crimes , violence and oppression?" ( Video conference speech of Bahareh Hedayat in solidarity with student movement in Iran on the anniversary commemoration of "Shanzdah Azar " the Student Day -December 5,2009 in one of Netherland University). 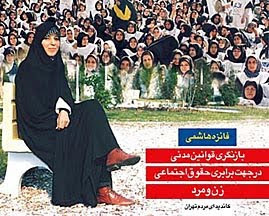 Bahareh was arrested exactly three Weeks after this message and was sentenced to nine and half years in prison.The court dealing w/ the charges against this student activist was held on 26 of April at division number 28 of the court of revolution.In this court judge Moghisehei sentenced her to 7 years imprisonment for the following charges: "Gathering and colaboration against the regime " , "Insulting the president" , "Insulting the leader " and "proagating against the regime" and together w/ two years suspended sentences in total become nine and half years imprisonment. Bahareh Hedayat is born on 27 April 1981,is a women movement and student activist ( Tehran Science university ).She is also central council member of " Daftare Tahkime Vahdat" a student organization ( she acted as spoksperson for this organization) . She was also active among the activists in " Campaign for one Million Signature". Up to now she has been arrested and detained four times for these activities. Why Iraqi regime attacked on Camp Ashraf and killed or wounded so many members of Iranian Mojahedin Khalgh who have lived there for decades !?? political prisoners in "Rejaei Shahr" prison in the city of Karaj: From Sunday we are going into hunger strike ! Focus into Iranian political prisoners ! IRAN WATCH CANADA : We, all Iranian opposition must unit w/ one voice in releasing all political prisoners from the prisons run by a bunch of criminals and lunatic ! These political prisoners announced; they would continue their hunger strike from this coming Sunday until the security and judiciary officials will change their behaviour towards the prisoners. Mohammad Sadegh Larijani (head judiciary)Mohammad javad Larijani(head human rights commission),Ali larijani(head parliament)will be held accountable! Do you hear my voice from Iran......in my country the role of student movement ,for achieving the historical demands like freedom and justice is very important....the role of student movement striving for democracy is very vital.You the students of Europe have only heared names about dictatorship ,despotism and closed society.But us ,in Iran feel those with our skin and flesh. Here the students and people even for reporting about an event which they have seen, go on trial and get sentenced to imprisonment. The demands of dissent students are the demands of many Iranian people. we want Freedom of Expression and academic freedom.We want everyone express their openions freely and not be subjected to question or threat after expression. We want to stop the systematic elimination of dissent voices and intellectuals.We want to eliminate the sexual discrimination in society and universities. Do you follow the news on student and green movement protests in my country?Do you know that; how effective your support is to our demands, which can stop the coup d, etat Government of Ahmadinejad in its widespread violent oppression? In here, protest gathering means being beaten up , means imprisonment, means facing the insult, means being tortured for forced, false and unreal aconfession,means solitary confinment,means being deprived from continouing education, means being banned from leaving the country, means being charged to "propagating against the regime" and " activities against national security" , means imprisonment for 3,4,5years .... This is Islamic Republic ....This is their way of governing. No more silence ! Freedom of all political prisoners the agenda of green movement ! 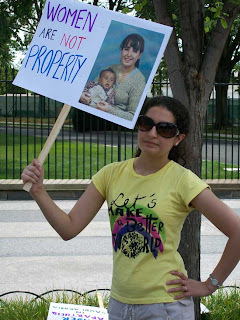 Break the walls of all prisons including Evin prison and free the sons and daughters of Iran! Bastani was born on May 12th, 1978 in the city of Arak. He completed his studies from early childhood to University in Arak where he obtained his Bachelor of Science in Electronics. He followed his interest in journalism while a student and started working in the field in 1999. In 2002 he became the Editor-in-chief of a weekly magazine in Arak called “Neday-e Eslahat”. (Voice of Reform) After a while his magazine was shut down because of its critical writings on human rights condition in Iran. Masoud moved to Tehran while a file was opened in Arak by the 5th branch of the revolutionary court accusing him of spreading fallacies. He resumed his work as a journalist in Tehran. July 25th 2005, While on assignment investigating the health and condition of Akbar Gangi, a fellow journalist and political activist who had been imprisoned and was on hunger strike and had been transferred to Milad hospital, he was arrested in front of that hospital and sent to Evin prison While in Evin, the 6th branch of the revolutionary court accused him of tarnishing the reputation of the regime and spreading negative propaganda against it. As a result he was fined and sentenced to 76 lashes. While still in Evin prison, the Revolutionary court in Arak declared its verdict and convicted him to six months and 60 lashes. After two weeks in Evin, he was transferred to Arak city prison to receive his sentence. There he was charged with criminals and serious offences. While serving his sentence he was allowed a leave during which time he married Mahsa Amrabadi. 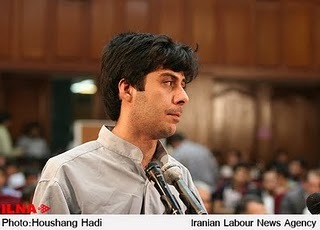 After his sentence Masoud was released and resumed his activities as a journalist. He dedicated most of his work to reports, interviews and investigating the condition of political prisoners and their families. 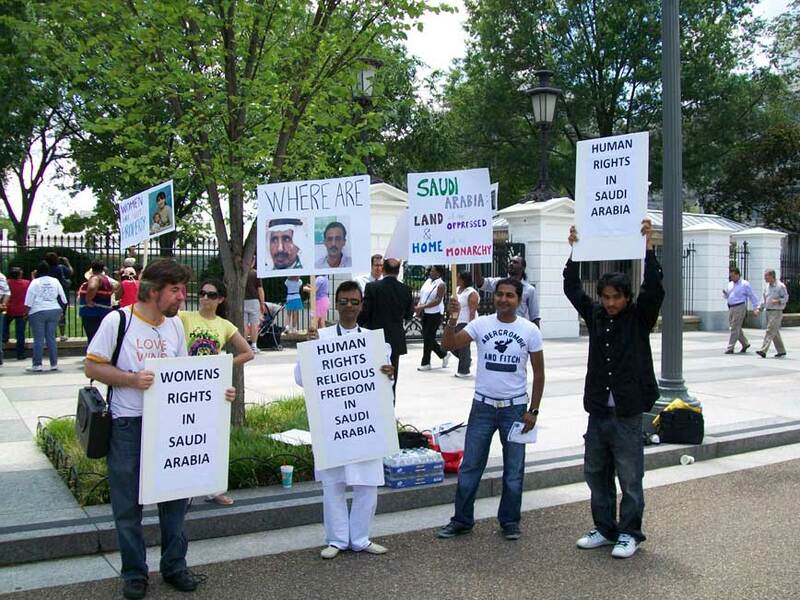 His reports defended the human rights of these people. As a result in July of 1986 officers from the ministry of Intelligence raided the home of Masoud and his wife. Following this raid Masoud was summoned to the ministry for questioning. 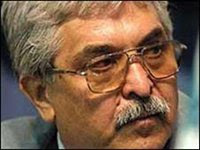 By then Masoud had worked with several Newspapers and Media such as “Yas-e no”, “Jomhooriyat”, “Etemad”, “Shargh”, “Kargozaran”. In addition Masoud contributed to several Canadian magazines such as “HafteH” in Montreal, “Shahrvand” in Toronto and “Shahrgon” in Vancouver. He worked closely with the Radio program Chacavac which broadcasted its programs through Montreal’s Radio CFMB from 2006 through 2009. Masoud was actively engaged in the disputed presidential elections of Iran in June of 2009 and had assumed the role of editor-in-chief of an online publication which defended the positions of reformist candidates. On July 5th 2009 while investigating the file of his wife who was in the revolutionary guard custody, he himself was arrested. He was taken to Evin and put in solitary confinement for 85 days facing psychological and physical torture on a daily basis. Masoud faced beating, choking, slurs and insult, he was left uncertain of his wife’s condition and whereabouts. 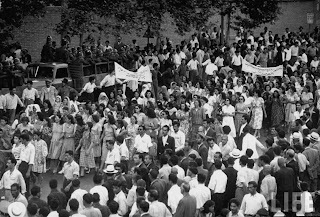 Eventually Judge Salavati of the 15th branch of the revolutionary court declared him a threat to public security, a source of negative propaganda against the regime and sentenced him to $34,000 and six years in prison. A sentence which was approves by the 36th branch of the same court. 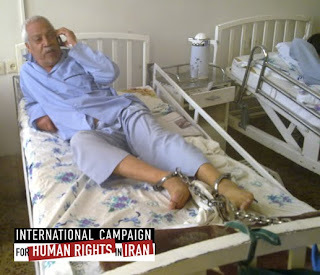 Since January of 2010 despite the serious infection afflicting his mouth, Masoud was denied many basic rights including the fact that he is prohibited from the basic right of calling his family. On February of 2010, Masoud Moradi Bastani was transferred to Rajayishahr prison in the city of Karaj where serious criminal offenders are kept then lumped with political prisoners. He is yet to receive one day’s leave. Masoud Moradi Bastani’s only crime is that he has reported on human rights issues in Iran. Recently his wife was permitted to visit him once every other week. Justice system under Mohammad Sadegh Larijani head of judiciary is tyranny,oppression,cruelty& crime against humanity ! Break your silence ! Call for their freedom ! Biography of Mahsa Amrabadi Mahsa Amr-Abadi was born on July 3 1984 in Tehran. Mahsa completed her studies from elementary through high school in the city of Rasht and began her higher education in 2003 in journalism at the faculty of social studies at Arak University. She obtained her certificate in 2006, the same year she got married to Masoud Bastani, a journalist who was imprisoned for his Human Rights reports and activities. Ms Amr-Abadi started working as a journalist at the weekly magazine “Neday-e Eslahat” (Voice of Reform) in Arak, where she met Masoud Bastani, the Editor-in-chief of the magazine. Bastani was later imprisoned for six months and the magazine was shut down. Ms Amr-Abadi then went to work for another local magazine, “Atr-e Yas” and upon completing her studies moved back to Tehran. In 2005, she worked on Movements News Section in “Aftab News” and in 2006 she continued working with reformist publication such as “Aftab-e Yazd”. She also worked in the foreign policies section of “Ilna” for a year then joined the national “Etemad” newspaper, which belonged to the opposition candidate Mehdi Karoubi. Meanwhile Ms Amr-Abadi contributed to “Hafteh” publication of Montreal, “Shahrgan” publication of Vancouver and the Radio program Chacavac which was broadcasted its programs through Montreal’s Radio CFMB from 2006 through 2009. Her contribution was mainly reports and interviews on Human Rights. 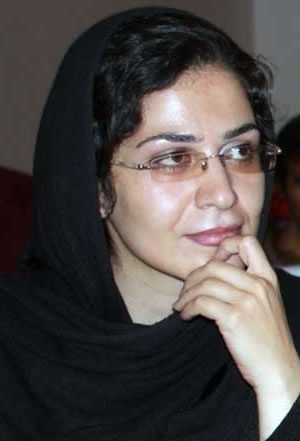 After the presidential elections on June 2009, the security forces raided her home, arrested and took her to “Evin “ prison where she spent two and half months in solitary confinement until eventually she was released on $2,000 bail. However her husband remained in Jail. After her release, Mahsa wrote several letters to the judicial authorities complaining about the pressures, limitations and the unsuitable conditions of the prisons. Standing out among these is her letter to the head of judiciary power, where she objects to the persecution of journalists. Shortly after her release from prison she started working for “Bahar” newspaper. After this newspaper was shut down she worked for the “Shargh” newspaper then the monthly “Sobh-e Azadi”. In October 2010, Ms Amr-Abadi was accused of activities against regime establishment and was sentenced to another year in jail by branch 28th of the revolution court, a sentence which is presently under review. 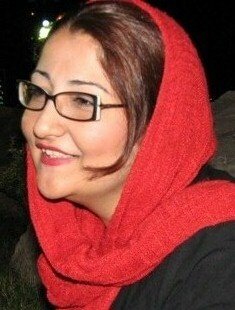 Ms Amr-Abadi was arrested on March 1st, 2011 while driving in Tehran and was taken to a ward in Evin prison which is well know for its horrific conditions. She spent 16 days in solitary confinement there. She was released on March 16th on bail and is awaiting a trial while her other charges are still under review. Her husband Masoud Bastani has spent two of the six-year sentence imposed on him in prison. He has been denied all visitation rights. Ms Amr-Abadi is prohibited from sharing news on her husband’s condition and imprisonment. What a country?When Faezeh Hashemi feel unsafe,what about daughters of ordinary Iranians?It looks like Iranian people are hostage & nothing else. When the name Iran replaced ancient Persia ? Just a historic sense of Iran. Around 70 Azarbayejanese Arrested on Orumieh Lake protest !